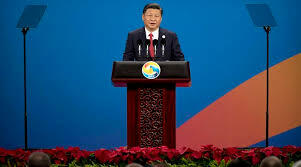 Unveiling his vision of “One Belt, and One Road,” a grand trans-regional connectivity project that seeks to link the four continents and encompass over 65 countries, China’s President Xi Jinping has made a robust pitch in the Chinese capital to the world to cooperate in his dream of shared prosperity. Addressing the Belt and Road Forum in Beijing on May 14, the Chinese president pledged around US$113 billion in extra funding for OBOR. He said that China’s Silk Road Fund will increase funding by 100 billion yuan, Chinese banks will extend 300 billion yuan in overseas capital, the China Development Bank will pledge 250 billion yuan, and the Export and Import Bank of China will add 130 billion yuan in special loans to Belt and Road projects.